It's time for another product profile. But THIS is unlike any of the others I've discussed in the past. How, you ask? It's a designed to be mixed with up to EIGHT parts water, so you can create large quantities of this gel from the pails or cartridges you buy from us. GT1100 is a water reactive, hydrophilic, one-component flexible polyurethane injection gel that is designed to cut off water leaks. GT1100 can be used in many applications. It can be used to shut off water leaks in concrete, brickwork, sewers, diaphragm walls, piling sheets, secant piles as well as curtain grouting behind tunnels, concrete, brickwork and sewer walls. This resin can be used to seal water-carrying cracks and joints in tunnel segments by injecting water-cut off membranes and liners. It's also used for curtain grouting and soil stabilization. Depending on the amount of water you mix it with, this resin can be set to cure to a rubbery foam or a stable gel. Once cured, GT1100 is highly flexible. That's why, as I mentioned earlier, it's suited for structures that have a high degree of settlement and movement. 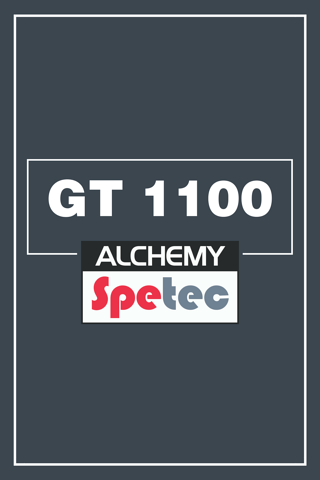 GT1100 is available in 5 gallon pails and 10.5oz. cartridges (12 per case).